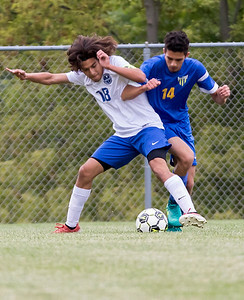 Sarah Nader - snader@shawmedia.com Woodstock's Josue Carreno (left) and Johnsburg's Nathan Grunder fight for control of the ball during the first half of Thursday's match in Woodstock Sept. 7, 2017. 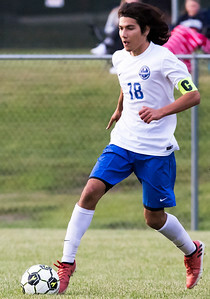 Woodstock won in overtime, 3-2. 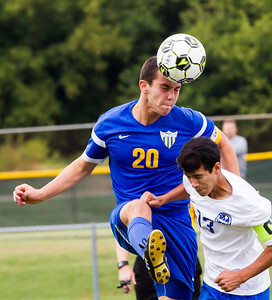 Sarah Nader - snader@shawmedia.com Johnsburg's Will Conroy (left) and Woodstock's Angel Arias head the ball during the first half of Thursday's match in Woodstock Sept. 7, 2017. Woodstock won in overtime, 3-2. 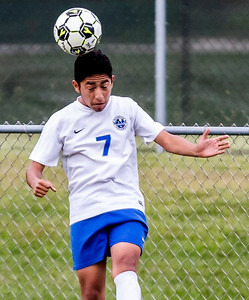 Sarah Nader - snader@shawmedia.com Woodstock's Hector Reynoso heads the ball during the first half of Thursday's match in Woodstock against Johnsburg Sept. 7, 2017. Woodstock won in overtime, 3-2. 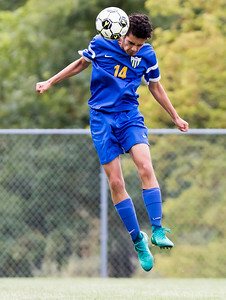 Sarah Nader - snader@shawmedia.com Woodstock's Josue Carreno dribbles the ball towards the goal during the second half of Thursday's match against Johnsburg in Woodstock Sept. 7, 2017. Woodstock won in overtime, 3-2. 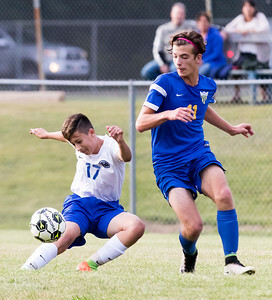 Sarah Nader - snader@shawmedia.com Woodstock's Caleb Warmbier (left) is followed by Johnsburg's Shane Graef while he dribbles the ball during the second half of Thursday's match in Woodstock Sept. 7, 2017. Woodstock won in overtime, 3-2. Sarah Nader - snader@shawmedia.com Johnsburg's Nathan Grunder heads the ball during the first half of Thursday's match against Woodstock Sept. 7, 2017. Woodstock won in overtime, 3-2. 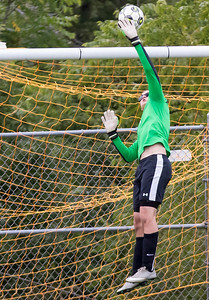 Sarah Nader - snader@shawmedia.com Johnsburg goalkeeper Nicholas Craun blocks a ball during the first half of Thursday's match against Woodstock Sept. 7, 2017. Woodstock won in overtime, 3-2. 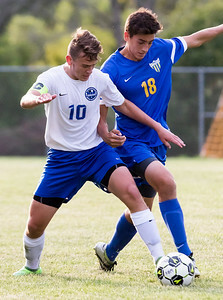 Sarah Nader - snader@shawmedia.com Woodstock's Oscar A. Escorza-Magos (left) kicks the ball with down field with Johnsburg's Michael Grunder close by during the second half of Thursday's match in Woodstock Sept. 7, 2017. Woodstock won in overtime, 3-2.